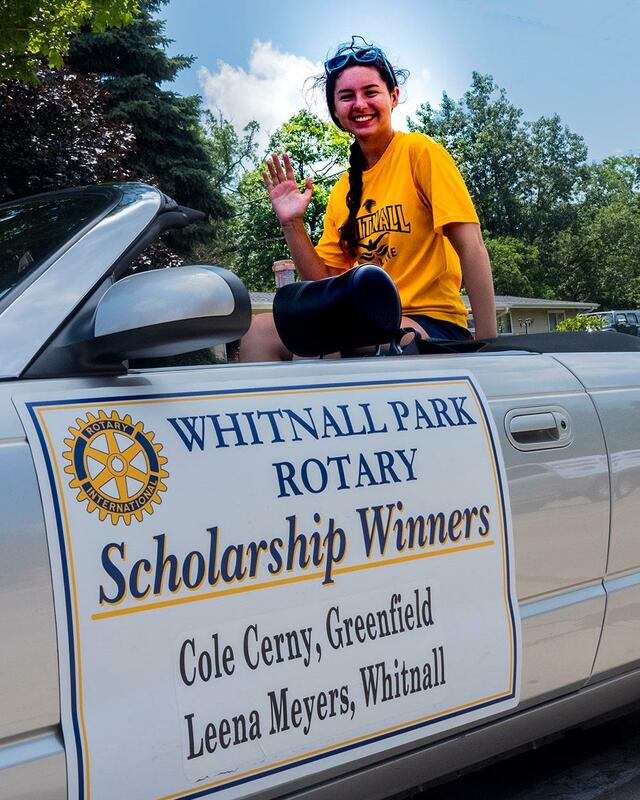 Leena Meyers, WPRC scholarship winner at Whitnall H.S., was the focus of the parade unit sponsored by Whitnall Park Rotary on July 4. 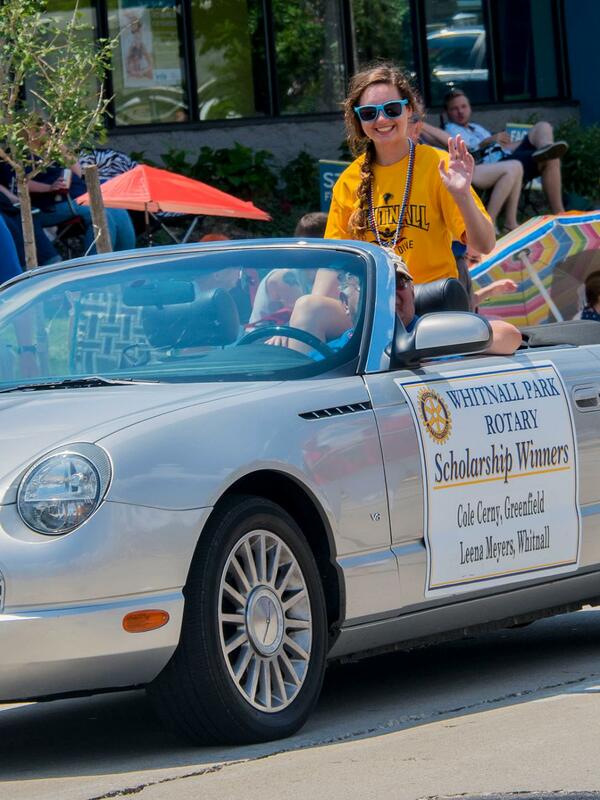 Leena will attend Lawrence University in the fall. In addition to driver Jim Helminski, six other members of the club (Jack Bennett, Roger Clark, Larry Myers, Robert Petri, and Judy & Tom Weiss) also walked with the unit in the parade, distributing Tootsie Rolls and flyers advertising the July 15th Hops & Vines Festival at the Three Cellars in Oak Creek, an event that will also help fund WPRC's college scholarships.